Scroll down for beautiful picture inspiration, helpful reminders , and a secret must-know tip at the end! If you are like me, then you love a good party! Whether I am attending one, or throwing one, I love a reason to get together with my crew and celebrate! If you are a seasoned partier, then what’s listed below can just be helpful reminders (although I may surprise you with a few fresh ideas). But, if you are new to this, I hope that what’s below will give you the courage to jump in and plan your own soiree! Planning a party does not need to be overwhelming, and it can be done very simply. Start small and work your way to something larger – like your parents 50th anniversary! 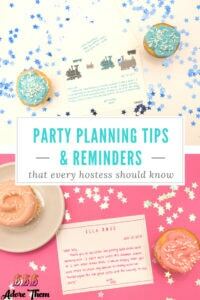 Below I have listed a few tips on planning, and what you need to remember Before & After the party! Start With Inspiration: Some small ideas to get you started. Consider Hosting A …..
Playdate – invite a few friends with little ones, spread some blankets out on the floor, throw a few pillows around, layout a few toy bins, turn on some fun background music, and serve a few simple snacks & lemonade. The parents can chat while the little ones crawl around and play – contained fun – yay! Coffee Date – invite a few of your besties over for coffee and/or tea. Add a few muffins or cupcakes displayed on a cute plate, place a few flowers in a pretty vase in the center, throw in a few cute napkins, and the scene is set – enjoy! Date & Time – consider listing an end time if there is a time limit. Maybe you rented a party room for just two or three hours – let your guests know. That way if someone can’t make it until late, they won’t show up as the party is shutting down – that would be a bummer! Location – even if it is just at your house – include that with the address so you don’t leave guests wondering! And, if they are traveling from an unfamiliar location, GPS will help them find you! RSVP – don’t forget to list the name, contact info, and date you need to know by. People tend to respond better to deadlines – so give them a date! Otherwise, you might never hear back. Theme/Dress Code – depending where your party is, or who it is for, certain dress requirements or suggestions might be best. Maybe grandma wants everyone in her favorite color yellow, or maybe you plan to snap a group picture – so color coordination would be perfect! Or if you are hosting a themed party, encourage guests to dress the part – now they are providing extra decor at no added cost to you – win! Instructions – sometimes this might not be applicable. But if gifts will be involved add a registry, or “in lieu of gifts bring flowers” kind of a thing. Plan Ahead! Try to organize all of the food, drinks, and decorations ahead of time. This way when the big day arrives, you can sit back and enjoy with all of your guests! Food – if you plan your event over meal times, then you need to feed your attendees. Otherwise, they will leave in search of food elsewhere – and that would be a party disaster! Snacks – if you plan your party in between meals (like from 2-4 pm) it still is polite to offer a few finger foods. A plate of cheese & crackers, and/or fruits & veggies can be easily prepared ahead of time, and will keep for a few hours while sitting out on the table. Drinks – keep the age of your guests and the atmosphere in mind. Hosting in your home with white carpet – make sure the kids are served clear liquids with lids and straws – fruit punch can make a mess! It is also helpful to mark any coolers “Kid Drinks” & “Adult Drinks” – this way little Jr. isn’t digging through the beer to find an apple juice box. Planning and hosting an event, no matter how big or small, can take time, creativity, and a lot of energy. Usually afterwards you are ready to be done and move onto the next thing – but wait! The last thing, and usually the most important thing, that you need and should do is send out those Thank You cards! Often times they can get pushed down on the list, or even fall off of the list – but that is a major party foul! Think of how excited you are when you receive a sincere Thank You note. Not just a generic one, but one that someone put time and effort into. One that was customized just for you! I bet it made you feel extra special 🙂 And I bet that extra good feeling made you appreciate that sweet sender even more! 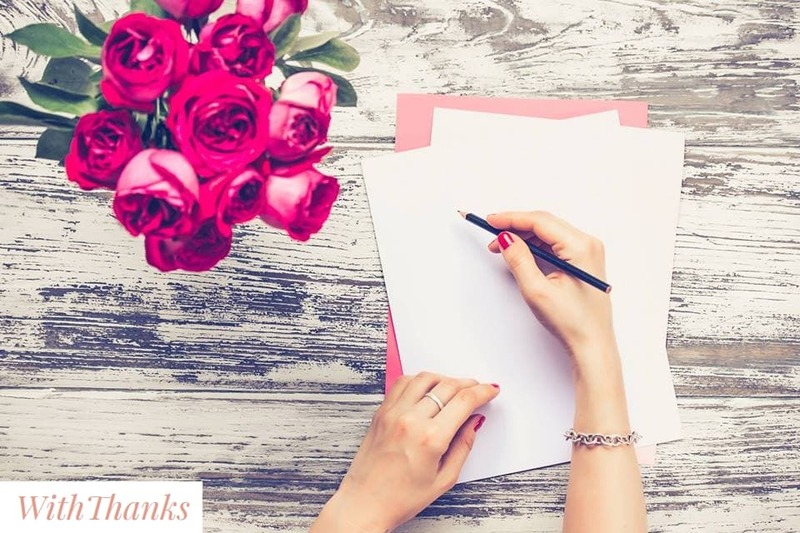 So now that you agree just how important sending that Thank You really is, I am going to let you in on one of my favorite tips – hire out this last part! Yup, you read that right! Did you know that there is now a service that will take care of this last, most important part for you?! Whether you need to send 1 or 500 thank yous, WithThanks will now create these custom cards in the most beautiful handwriting, and mail them out for you! So when your last party guest leaves, you are actually done with your party – how cool is that?! Thank You cards are definitely expected when someone gives you a gift. But how about after a fun evening using WithThanks to send your friends a Thank You card that tells them just how much you appreciate their friendship – what a fantastic way to cap a fun party! Not only will guests remember how awesome your event was, but they will feel humbled by the customized genuine touch – Friends Forever! I strongly enourage you to check out WithThanks for your next event! A Big Thank You to our Featured Business WithThanks for making this content possible! 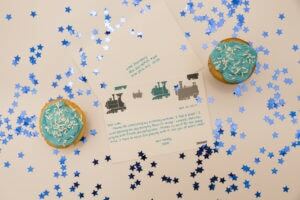 WithThanks takes over the tedious job of writing Thank You notes! 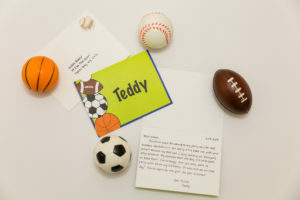 Whether it’s a wedding, Bar/Bat Mitzvah, baby shower, wedding shower, birthday, or other event, they will personalize, hand-write, and mail out those time-consuming Thank You notes. 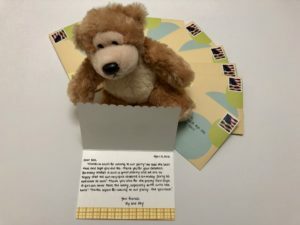 The company was born when Taryn realized how many people detest and avoid writing Thank You notes even though they are such an important piece of showing your appreciation. Let them say, “Thank You” for you!